We understand being without your equipment can cause disruption, that's why PASS promise a 3 day or free* turn around on your light meter. Trust the professionals at PASS to calibrate your instrument to take exact and reliable measurements. Our team of highly trained professionals are able to ensure that test instruments are performing correctly and conform to all manufacturer standards. We are able to adapt our calibration procedures to suit your needs and can provide on-site calibrations at your premises. Alternatively, our technicians are able to perform your calibration in our in-house ISO9001 calibration lab. Occasionally during calibration, our team of professionals will uncover a fault with the test instrument. Should this occur, we are also able to repair your test equipment, with your permission, and calibrate your device to ensure that it is safe for use and gives correct readings for another year. 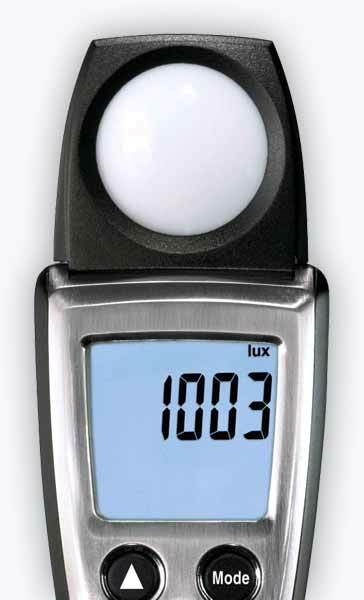 There are 2 important factors when calibrating a light (lux) meter, firstly is the illuminance responsiveness which measures how accurately the meter responds to the illuminance level, secondly is the spectral responsiveness, which measures how accurately the colour response matches the human eye. Light meters must be checked to ensure they have not drifted from their reference to ensure accuracy. An inaccurate meter can result in damage or faults in production and process industries, failure to comply with standards and regulations and ineffective security measures for safe levels of lighting. Accuracy is vital to optimize the placement of solar systems, verify window efficiency and correct energy estimations/output.